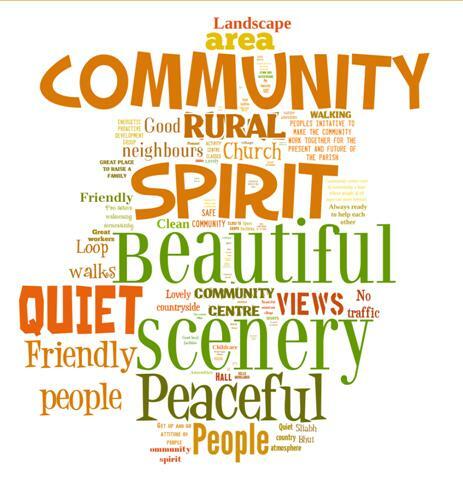 As a result of the recent survey undertaken locally by Askamore Muintir na Tíre Community Council Limited (our new official title!) this is a graphic representation of the responses made by locals about Askamore. The bigger the font, the more frequent the comment.